IBM is beefing up cloud app security and performance, launching "continuous security" as well as managed Kubernetes on bare metal. IBM Corp. (NYSE: IBM) Cloud Internet Services, launched in conjunction with Cloudflare Inc. , is designed to "help protect and secure websites, apps and APIs against denial-of-service attacks, customer data compromise and abusive bots, all while enhancing performance," according to an IBM blog post on Wednesday. The service is intended to "provide a one-stop shop for security and performance capabilities designed to protect public-facing web content and apps," IBM says. It's an alternative to enterprises needing to go to multiple vendors for those services. IBM also announced security hardware initiatives designed to protect cloud native apps. "Working on IBM Cloud, developers can build cloud native apps to process sensitive data and deploy services on trusted servers, which are designed to increase security as part of the continuous integration and delivery processes. 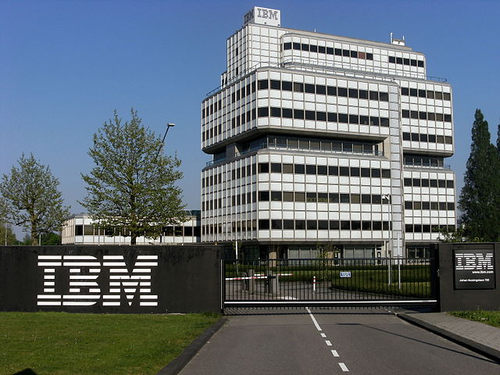 These new security capabilities in IBM Cloud use technology from IBM and Intel," IBM says. IBM beefed up hardware security, claiming "the first container service which protects data within containers down to the microchip level. The IBM Cloud Container Service with Trusted Compute creates a chain of trust rooted in hardware, securing containers that developers deploy, thus creating a security-rich platform for building container-based apps." Each container and container image is verified, to assure they're trusted and not malicious. IBM says it's "launching server technology that provides secure enclaves designed to protect data used in application runtimes." The technology encrypts and protects application data. And IBM is launching Cloud Security Advisor, an experimental dashboard to provide developers with a simple dashboard view of security and vulnerabilities. Separately, IBM launched Kubernetes as a managed service directly on bare metal cloud, making the container orchestration technology more suited to high-performance applications such as large machine learning workloads, as well as sensitive datasets requiring isolated servers, according to an IBM blog post Wednesday. Kubernetes on bare metal allows developers greater control over where workloads run and lets them isolate workloads to specific servers. "It equips teams with all of the benefits of a fully managed container service combined with the performance and security of bare metal," IBM says. IBM says it's also working with the open community to give Kubernetes ability to directly access GPUs.